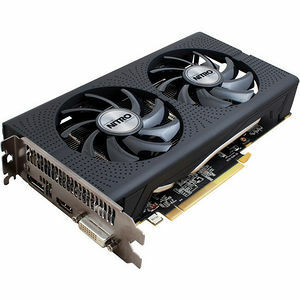 Designed to perform great in massively popular online titles, the SAPPHIRE NITRO Radeon™ RX 460 promises minimum input lag and over 100 frames per second in Dota 2 or Rocket League in 1080p. Performance up to 30% better than R7 260X is the result of factory-overclocked 4th generation GCN core. The card features 896 stream processors with a boost clock up to 1250 MHz as well as 4 GB of GDDR5 video memory on 128-bit interface and clocked at 1750 MHz (7 Gbps effective speed).